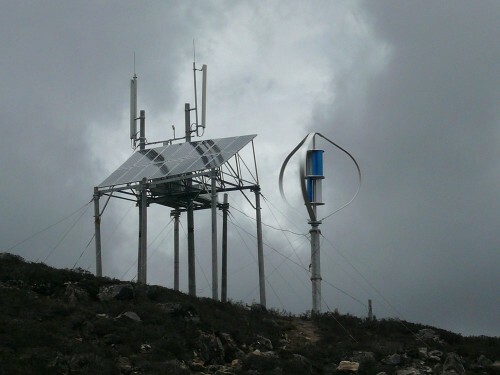 Aloha Energy Group is the Distributor of Hi-Vawt Wind Turbines and Hybrid Street Lighting Systems in Hawaii. 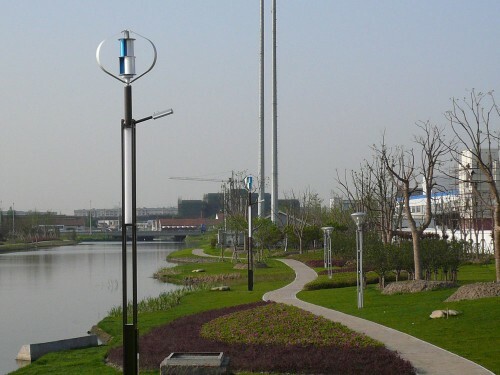 The ideal choice for urban installations, vertical axis wind turbines are relatively compact and visually appealing. They are designed to allow for wind to be caught at any angle or direction. The vertical design lends itself to areas with higher degrees of wind turbulence, such as buildings or trees. 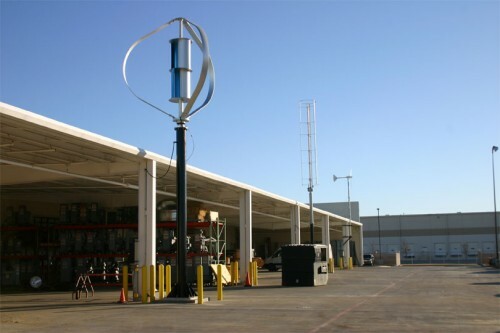 Unlike horizontal axis wind turbines, VAWTs do not need to be placed as high in the air, which helps with zoning approvals. This makes them a good choice for rooftop installations also. 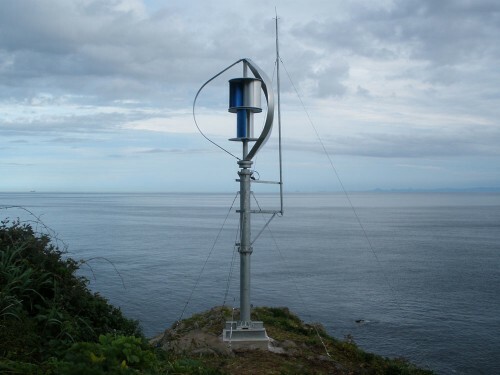 The vertical axis wind turbine is also nearly silent, which further adds to its appeal in urban settings. Available in 300W, 1.5 KW and 3 KW systems. 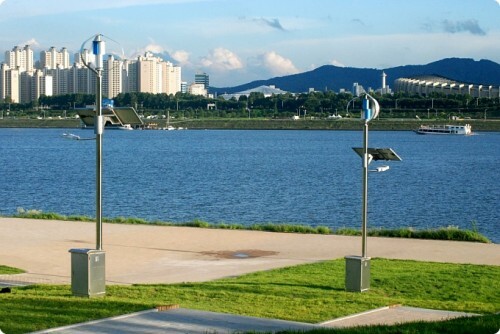 Our standard hybrid street lighting system is integrated with DS-300W Vertical Axis Wind Turbine and 85W Solar Panel together with modern design of lamp pole. The design concept is to provide an independent (off-grid), self-sufficient lighting application or other usages if applicable. 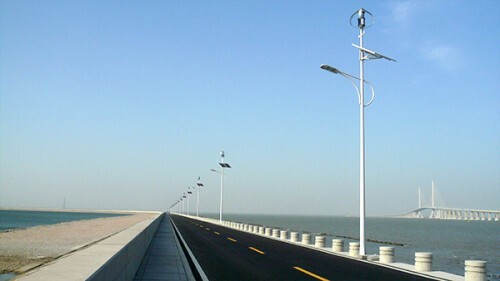 The controller of the hybrid street lighting system is integrated with wind power controller (WG0400) and solar power charger (RC10-II), both are paralleled for battery bank (12V/24V) charging. The battery bank provides load of a power-saving 24W LED Lamp.